Cant said yes or no with 100% accuracy but something is true: They italians had bad commanders and equipment in early part of the war, thing that undermined the morale. They also lacked adequate training. For instance, crews of the 90/53 were not trained to engage ground targets at all during 1942. And I've yet to see any evidence that they were prior to the Armistace. The good Italian units which faced Australians in North Africa (which are the only ones I know much about) were as good as any other good units. They fought hard, with skill, determination, and bravery. Some other Italian units were very ordinary and at times surrendered at the first opportunity, leading to the well known pictures of columns of Italian POWs stretching to the horizon, and other events such as largish groups surrendering to Allied photographers. This was largely because those units were composed of blokes who didn't want to be there and who didn't think they were involved in a cause worth dying for. Later events proved them correct. A bit further off topic. Many Italian POWs came to Australia during the war and were released to work on farms to overcome labour shortages. Many of the host families came to have high regard for their hard-working qualities and agricultural skills, and for them as men and people. Quite a number of those farming families sponsored their former POW workers as migrants in our post-war migration program, which shows the respect and affection they earned. I tend to agree with that, however with better commanders ( mostly germans but still some italian like Baldasare, La Ferla, Navarini) in charge there were several improvements in fighting spirit even with the outdated weapons and tactics. A very good indication of that is the book of the memoirs of Rommel, "The Rommel papers", he had a very low opinion of italians at the beggining of the Africa campaign, then as the fortunes of war moves against the british it can saw and recognize an heavy improvement in discipline and morale between the soldiers. And finally if we speak the awful truth there was no way of winning the Battle of Gazala as Rommel did in 1942 without a good italian military performance and support. Hitler had his very own opinion regarding this issue. A told quotation reads as follows: "The best soldier allied with the worst." Italian troops were as capable of being as courageous as soldiers in any other army. Every army in WWII had formations that simple vanished when they made contact with the enemy and other formations that stood and fought to the last man. Most combat formations fall somewhere in between, performing "adequately or well" in combat (depending on a number of factors). 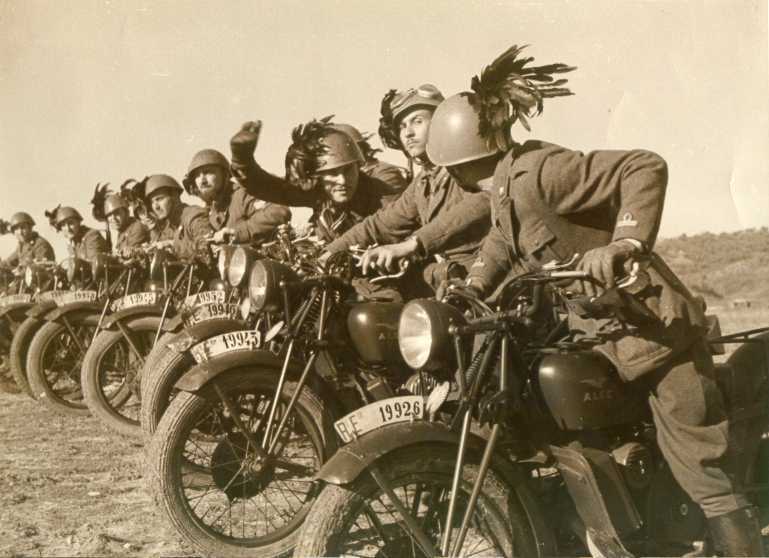 For a variety of reasons, the Italian army seemed to perform along the extremes more than other armies. There were plenty of formations that fought exceptionally well in both NA and Russia. There were also a number that simply collapsed when the fighting started. However, there are accounts of German formations breaking in combat while the Italians continued to fight. This type of thing happens in all armies. Italian 90/53 "portee" I had seen footage of this Ansaldo truck used extensively during the Gazala battle in may 1942, probably this was a very powerful adittion to italian formations against british tanks. I am sorry, it is not an Ansalado combination, but a Lancia 3RO. 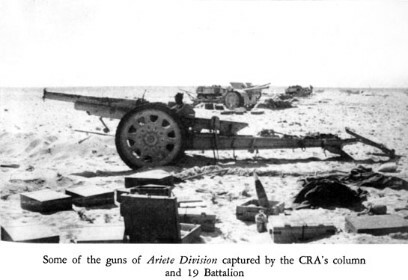 I'm also not so sure about "extensive" use during the Gazala battles, as there were only between 10 & 20 such vehicles in North Africa at the time. And they certainly would not have been powerful formations against the Commonwealth tanks, as they were used exclusively in the anti-aircraft role, as the crews had no training in the engagement of ground targets, nor was there any suitable ammunition available at the time. Please understand that I am not "attacking" you. Just putting forward the facts, in what I hope is a friendly manner. it is a very nice photo by the way. It is of a post war vehicle attached to the Centauro Division. I dont know about the quantities , probably wasnt much as you say, however I did saw the 90/53 firing at ground targets as long range artillery and there are accounts of its use as antitank. Open the link above and then clik in "high" and you ll see. I should make it clear that I'm not saying that they were never ever used in the ground role. Just that during 1942, there was not suitable ammo or adequate (if any) training. As for numbers, 10 arrived at Tripoli in May 1942 with DII Gruppo C/A. And another 10, with DI Gruppo. My dates of arrival ar sketchy, but somewhere between February & August 1942. DI Gruppo C/A went on to serve with Ariete Division, as IV Gruppo 132nd Artigliera Reggimento. Your numbers seems right, the vehicle is hardly seen in more of 5 or 6 group. A Batterie was of 5 Cannoni. Well, then the video showed some vehicles of the Ariete, it was taken in late May 1942.